In the present research, evaporation induced self-assembly method is used to prepare nitrogen and silver co-doped mesoporous ZnO nanoparticles by means of zinc nitrate hexahydrate as a source of zinc oxide and P123 as a surface commanded medium. The physicochemical characteristics of each sample are described through several approaches. The occurrence of the wurtzite phase of ZnO along with crystallite size of the scale 22.74–22.87 nm is described by the analysis of X-ray diffraction data. Exploration of the photoluminescence and ultraviolet-visible spectrum demonstrated that the percentage rate of electron–hole recombination and band gap energy decreases continuously with the addition of nitrogen and increasing concentration of silver. Analysis of scanning electron microscope and transmission electron microscope images confirms the existence of mesoporous flocks of nanoparticles with 40–50 nm crystallite size. BET analysis has been done to determine the pore volume, surface area, and pore radius with the mesoporous nature of the samples. Analysis of FTIR spectra corroborates the existence of different functional groups. Study of the Raman spectra shows the influence of co-doping on Raman scattering of pure ZnO nanostructures. Methylene blue, congo red, and malachite green dyes are employed to examine the photocatalytic action of the samples. Evaporation induced self assembly method is used to synthesize silver and nitrogen co-doped mesoporous ZnO nanoparticles by using triblock copolymer Pluronic P123 as a surface directing agent. The crystalline, mesoporous and co-doped nature of the samples is investigated by different techniques, i.e., XRD, SEM, EDX, TEM, BET, FTIR, UV-Vis, PL, and Raman spectroscopy. As prepared samples describe satisfactorily the photocatalytic degradation activities against MB, MG, and CR dyes in the presence of visible light. 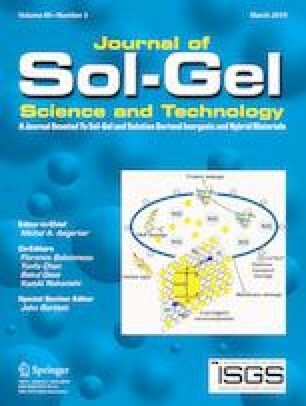 The improvement in photocatalytic activity is due to high pore volume, higher surface area, and nanoscale crystalline size with co-doping of silver and nitrogen.